About 4 miles of trail are open to mountain bikes. Yes... but not while you're riding a mountain bike. Stringers Ridge, the last undeveloped piece of land on Chattanooga's North Shore, used to be the city's best-kept secret. Now it's a city park, and those eroded and overgrown trails have been replaced by excellent multi-use singletrack. About 4 miles of trails are open to mountain bikers, and the new parking lot includes a bathroom facility, water fountain and pump track. 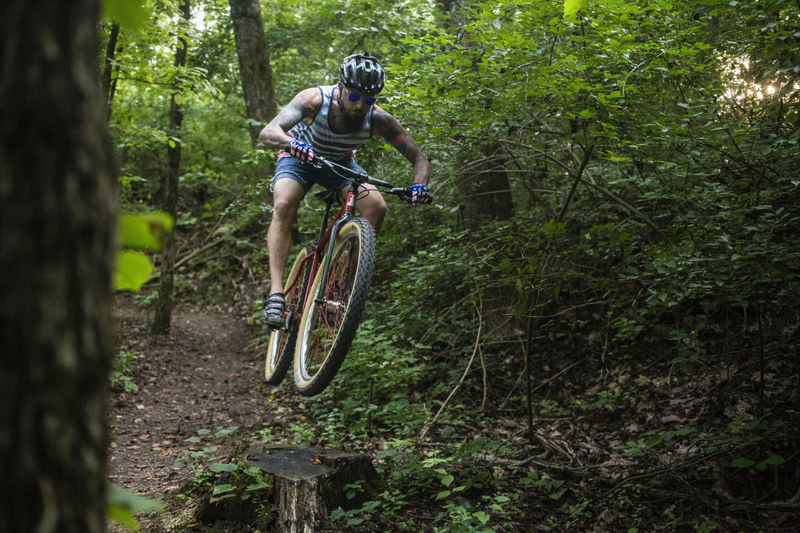 Stringers Ridge isn't the kind of place mountain bikers travel to Chattanooga to visit. The trail system is small, it's not an IMBA "Epic" and it didn't exist until a couple of years ago. So... what makes it great? Location, location, location. Stringers is right smack in the middle of Chattanooga's thriving North Shore district, and an easy pedal from the Riverwalk. It's THE place to ride if you're trying to get some quick miles before or after work, if you need to work up a sweat on your lunch break or if you're simply hoping to spice up your daily commute. Oh, and the trails are awesome. The old paths which previously criss-crossed the landscape have been rebuilt and replaced by sustainable, FUN singletrack with plenty of berms to keep your momentum up. It flows incredibly well, and with very few flat spots you'll spend your time on the ridge switching between ripping high-speed descents and hammering your way up lung-busting climbs. It's the kind of new-school flow trail that riders of all ability levels can enjoy. 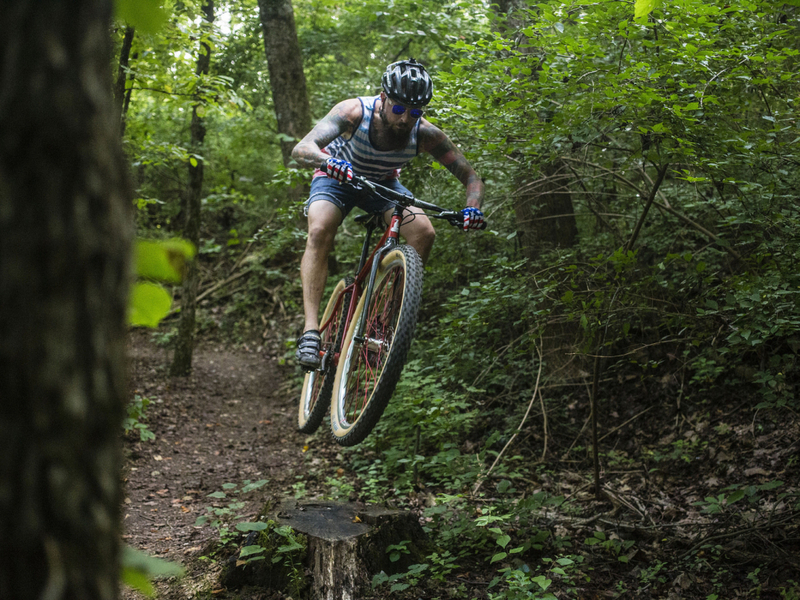 In addition to the blue-blazed outer loop comprised of the Gig City, Hill City and Double J trails, the Strut loop is a blast at speed and the Choo-Choo loop is a short (but sweet) bike-only rollerfest with a couple of large, tight berms. 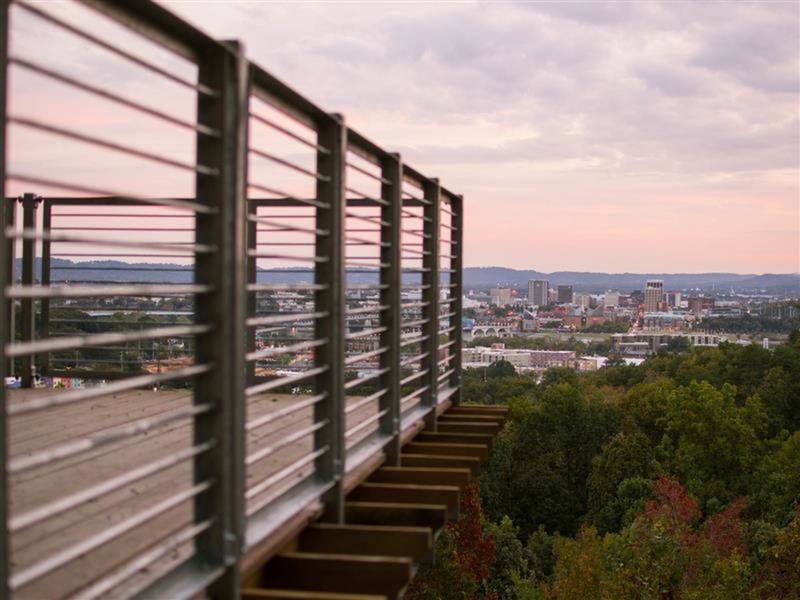 The old paved road up the ridge, repurposed as Cherokee Trail, is also worth your time due to the very nice observation deck which affords views of downtown Chattanooga. 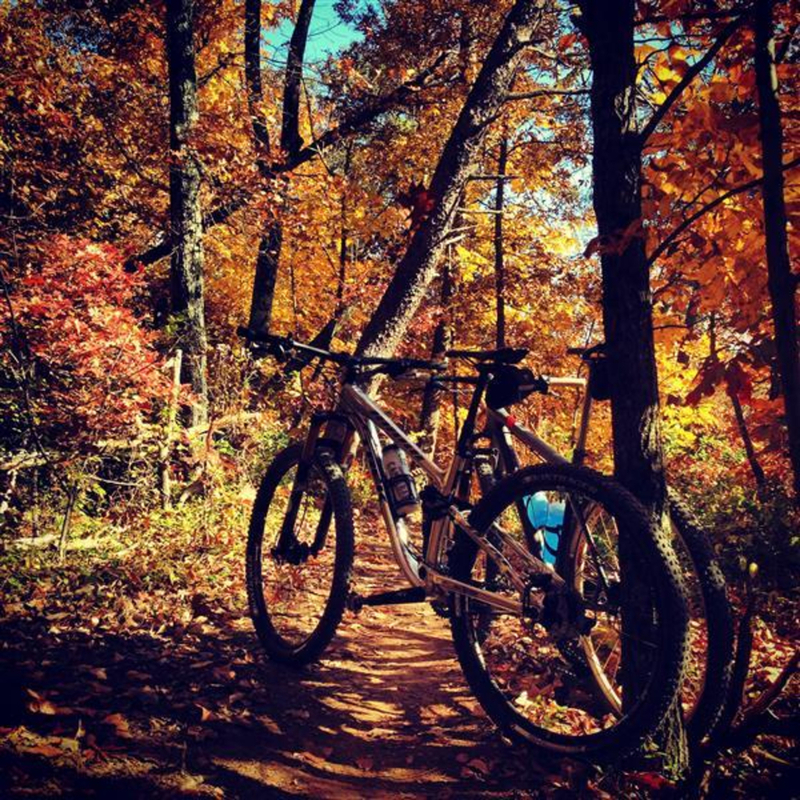 These trails are more suitable for intermediate riders than beginners, as the climbs are much tougher than those found at some other local trail systems. It's also not likely the best place for children, with many mountain bikers zipping across the ridge. The singletrack is typically quite narrow, and the combination of high-speed trails and blind corners means you MUST ride with your head up and eyes open. Be ready to share the trail and come to a stop if necessary! Because of this, riding with headphones is not recommended. Expect the same type of cherty, loose-over-hard trail surface that's typical of the machine built trails at Enterprise South Nature Park, with much steeper terrain; in fact, each 3.5-mile outer lap at Stringers has approximately the same amount of climbing as the 10-mile lap at ESNP! These trails are purpose-built, with strategically-placed berms to let cyclists corner without needing to skid tires. Level trails are rare; you'll always be either burning your brakes or burning your legs. An hourlong ride here is one of the best mountain bike workouts in town, and this place just BEGS for singlespeeders to mash their way around. 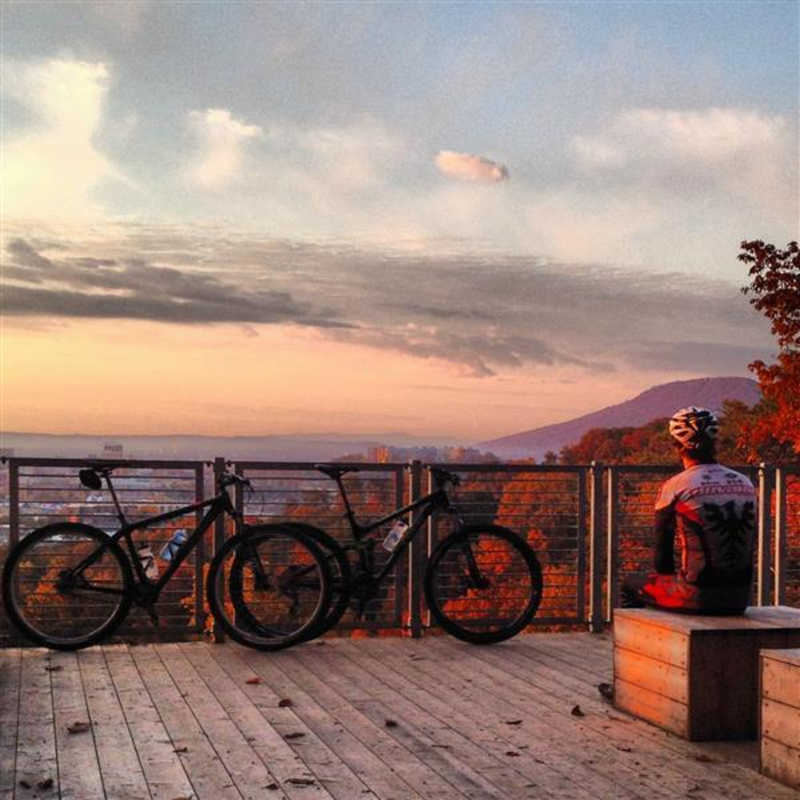 We recommend parking at the Spears Avenue trailhead, which has the aforementioned pump track and facilities. Honestly, though, if you live anywhere nearby on the North Shore, you don't even need to park at the trailhead. It's an easy two-mile pedal up Spears from the Riverwalk, with little traffic, making for a nice warmup before you hit the surprisingly-punchy trails.These trails are closed after dark, and are open to foot traffic as well as bikes. You're likely to see folks walking their dogs or just out for a walk, and it's a popular trail running destination. These trails are directional, with the direction-of-travel alternating by day and foot traffic traveling in the opposite direction as bike traffic. It can be a bit confusing, so consult the signs if you're unsure. 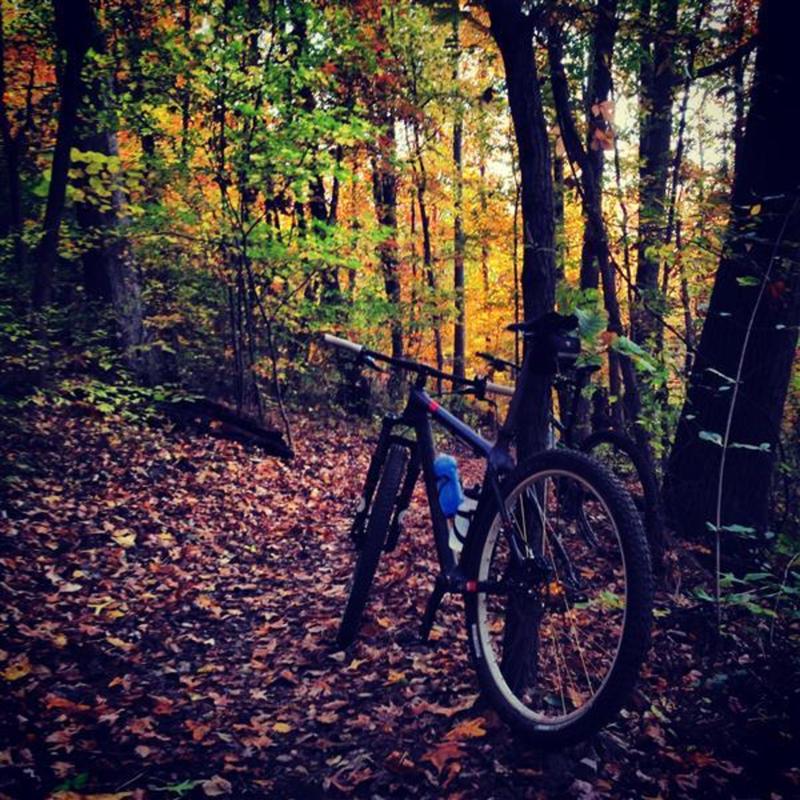 In any event, expect to encounter many other trail users -- after all, you're in the heart of a good-sized city -- so be courteous and ride within your limits around the many, many blind corners. 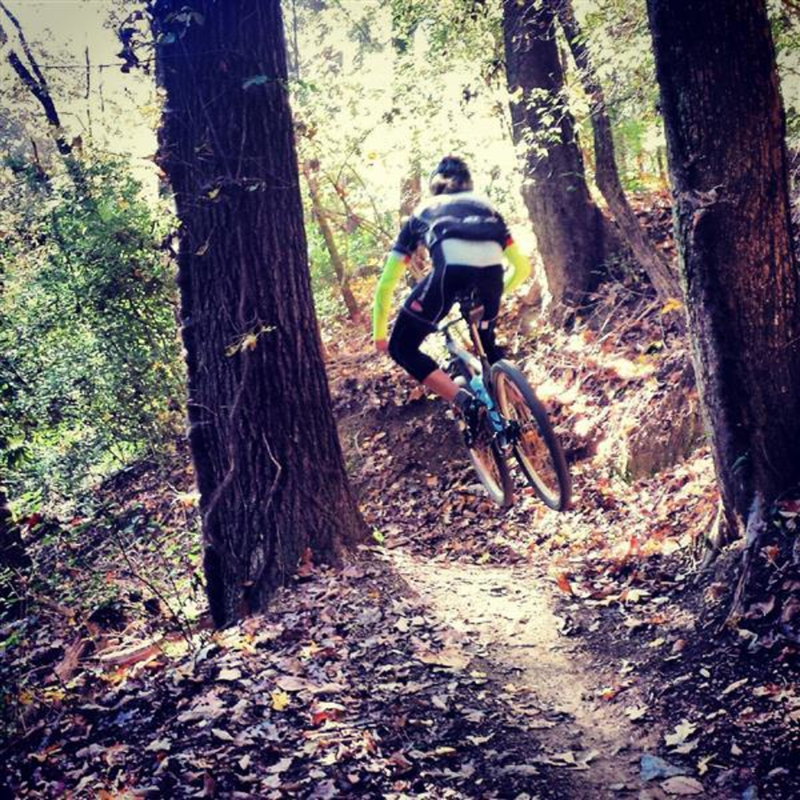 The trails are sustainably built and drain fairly well, but not quite as well as the trails at Booker T or White Oak Mountain, so please don't ride when the trail surface is soft after rain or freeze-thaw.